Herby’s real name is Kechmi. He came to live here with his older brother Peter in October of 2013. He is from Les Cayes where his parents both live and work as elementary school teachers. He has one other brother and one sister. Herby enjoys living in Fond Blanc because it is quiet and peaceful. He loves playing marbles and soccer with the other children. Herby can also make some really funny faces if you ask him! His favorite subject in school is math because it’s easy for him. He wants to be a pastor when he grows up, so he can share Jesus’ love and stories with everyone around him. 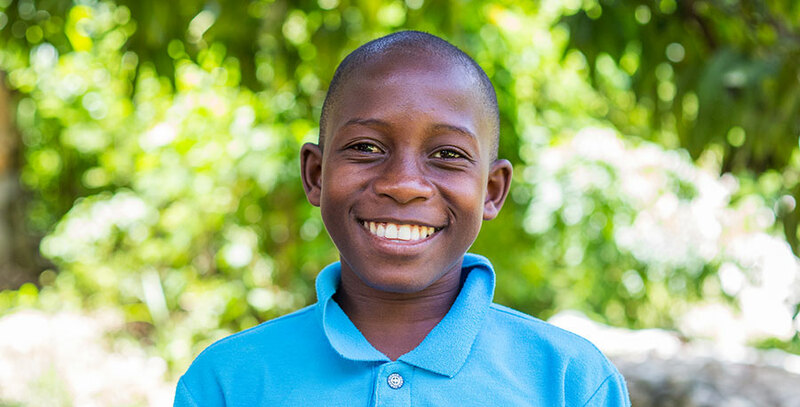 Although he loves spending time with all the boys, his best friend is Mackenson.